GameStop's busy holiday season is coming up, in addition to the mega-release of Modern Warfare 2, so why has its director sold 2.3 million shares of company stock? 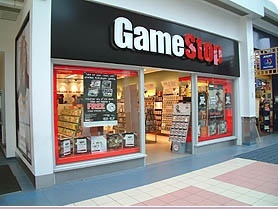 In a move that confuses even well-known videogame industry financial analyst Michael Pachter, GameStop director Leonard Riggio has recently sold 2.3 million shares of his company's stock for an estimated $60.2 million. Riggio now owns 9.1 million shares, down from 11.4 million. Pachter's confusions stems from the fact that he believes GameStop will "benefit from several near-term catalysts, including hardware price cuts, a much improved software release slate, and much easier industry sales comparisons." At least part of that release slate includes what could be the most gigantic of all humongous videogame releases in a while: Modern Warfare 2, predicted to sell a heck-load. Supposedly, the sale was made for the purpose of tax planning, but certain signs may indicate otherwise according to Alex Romayev, co-founder of insider trading data firm Form4Oracle. Romayev points out that Riggio also owns a much bigger stake in Barnes and Noble, and believes: "Unless [Riggio] desperately needs $60 million ... Clearly he thinks selling GameStop is better than selling Barnes & Noble." The last time Riggio made a large sale of GameStop stock was in October 2007, helping him to avoid a 62% loss, but it's still possible that the more recent sale was been made just because Riggio needs some dough. Pachter makes a pretty nice jab at Riggio if that is the case, saying: "The only thing I can tell you is that he probably had something better to do with the money. I feel sorry for these guys who can't live on anything less than $20 million." Take that super-rich guy, someone feels sorry for you. Even to a complete stock market novice like myself, this seems like an odd time to unload $60.2 million in shares of GameStop. Perhaps the holiday season is expected to be slow all around, and even the release of Modern Warfare 2 can't save one of the world's most prominent videogame retailers this year.